Chelsea midfielder Marco van Ginkel will be out for around eight months after having knee surgery. 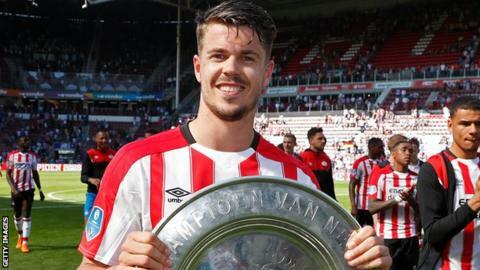 The Netherlands international, 25, has spent much of the past three seasons on loan at PSV Eindhoven, helping them win the Dutch title in 2015-16 and 2017-18. Van Ginkel has had an operation to reconstruct his anterior cruciate ligament and treat damage in his knee. He has made just four appearances for Chelsea since joining for £8m in 2013, with loan spells at Stoke and AC Milan.